A member of the Washington, D.C. City Council blamed a Friday snow fall in the nation's capital on Jews, claiming they control the weather. 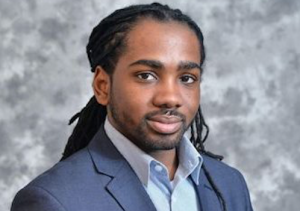 Trayon White Sr. (D.) was driving through Southwest D.C. when he filmed a video on Facebook of light snowflakes falling, and he then espoused his conspiracy theory, the Washington Post reports. "Man, it just started snowing out of nowhere this morning, man. Y’all better pay attention to this climate control, man, this climate manipulation," White said. "And DC keep talking about, ‘We a resilient city,’ and that’s a model based off the Rothschilds controlling the climate to create natural disasters they can pay for to own the cities, man. Be careful." "This kind of anti-Semitism is unacceptable in any public official. This so diminishes what America is about and adds to the oppressive feeling going on in the country right now," Zemel said. "We all have to be better. Public officials have to learn not to say the first ignorant thing that comes into their head." When first contacted by the Post, White was surprised his statement was viewed as anti-Semitic. "The video says what it says," White said when asked for clarification. Hours after the story was first published, White texted an apology. "I work hard everyday to combat racism and prejudices of all kinds. I want to apologize to the Jewish Community and anyone I have offended," White said. "The Jewish community have been allies with me in my journey to help people. I did not intend to be anti-Semitic, and I see I should not have said that after learning from my colleagues." White represents the same ward in D.C. that was once represented by Marion Barry.